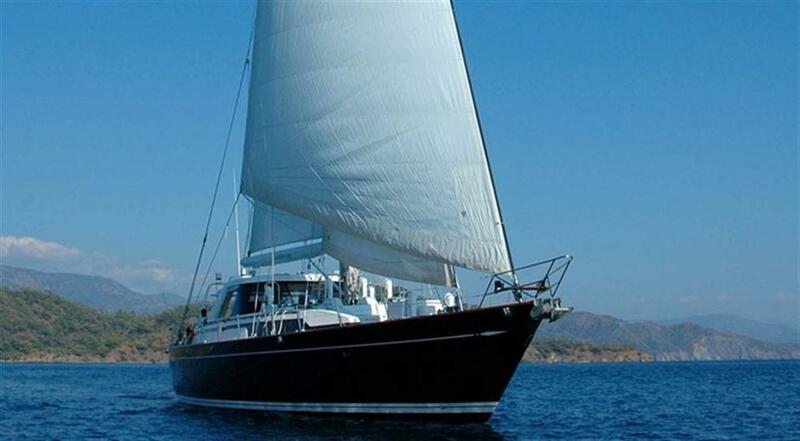 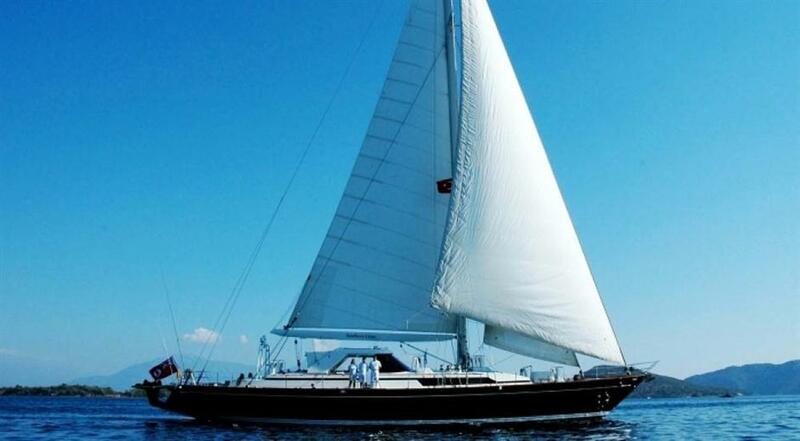 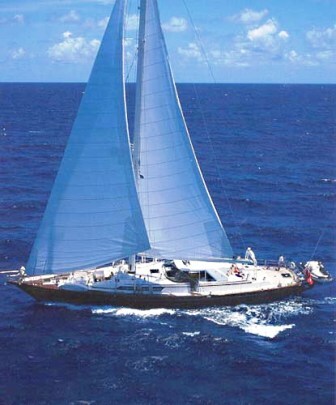 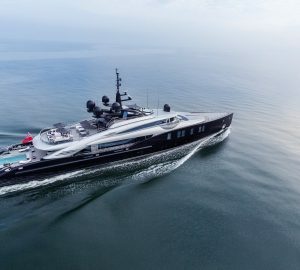 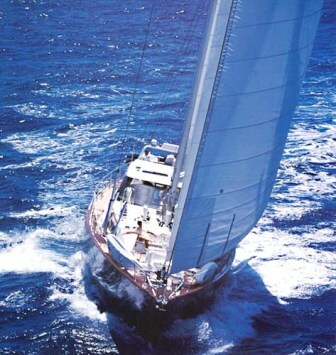 SOUTHERN CROSS is an 88 ft CIM 88 designed by Sparkman & Stephens. 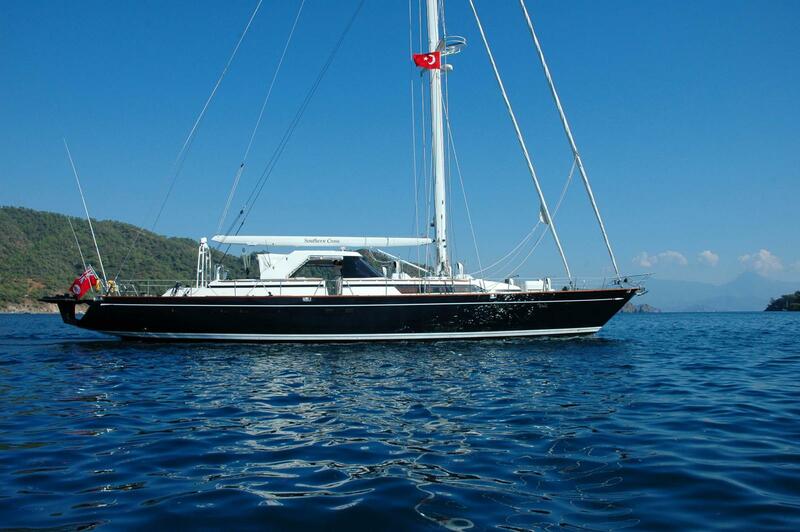 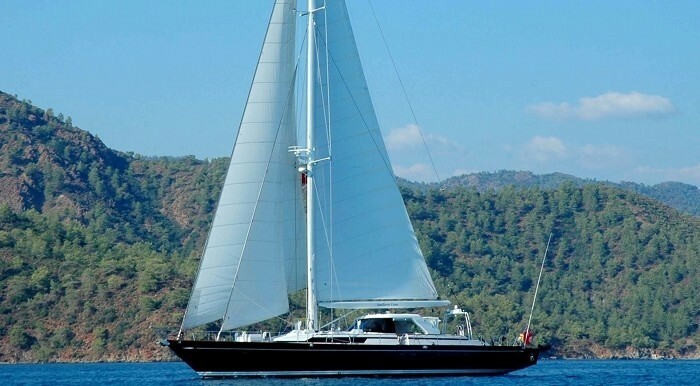 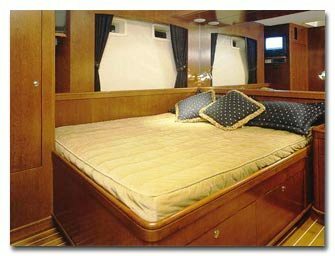 She offers all the traditional delights of sailing in a large powerful cruising yacht, and can accommodate up to 8 guests in 4 staterooms. 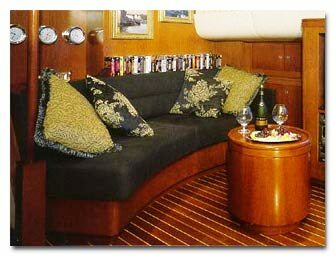 Her interior is comfortable. 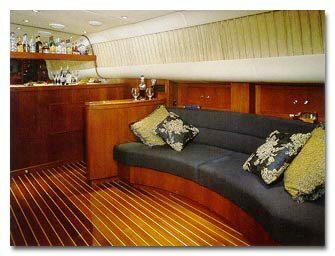 In the salon are original semi-circular sofas and tables that connect to make one large semi circular dining table, as well as a bar and TV. 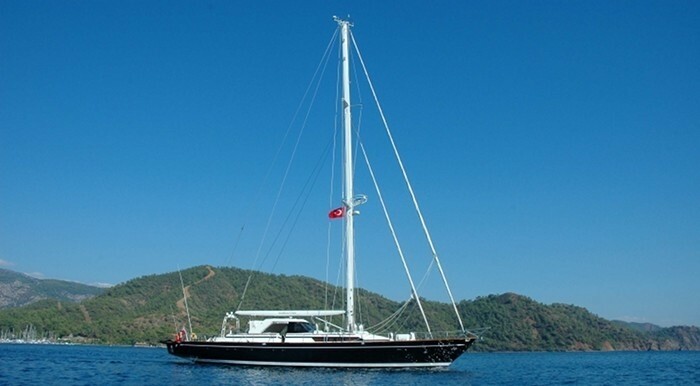 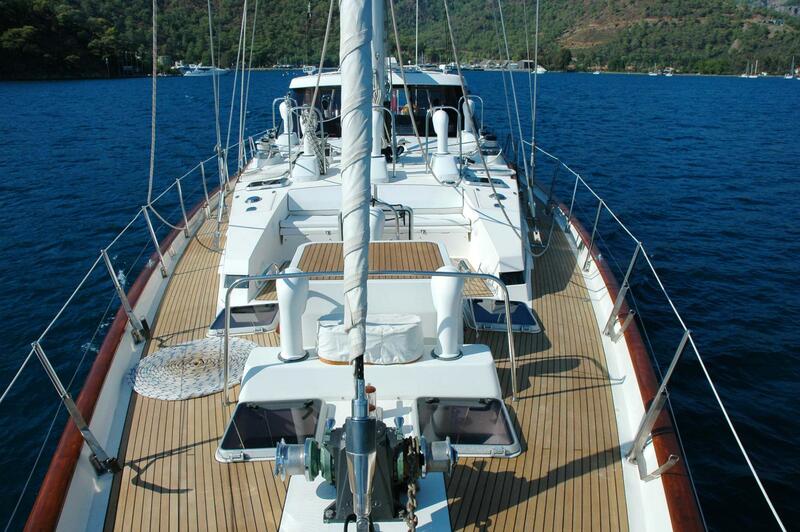 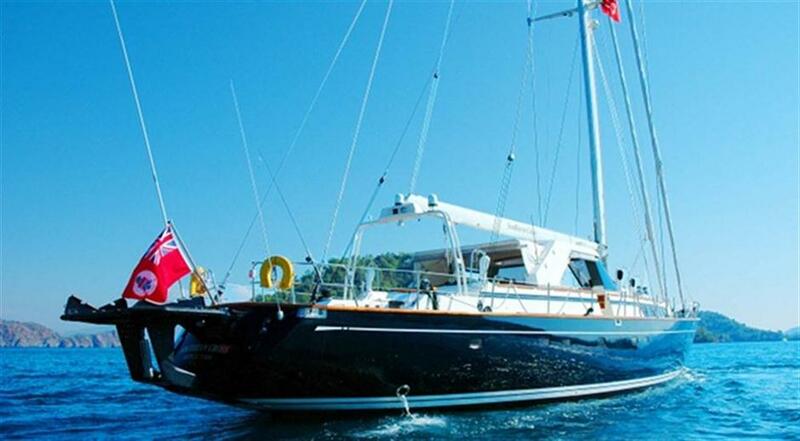 She has a superb hydraulic platform that is suitable for carrying a huge dinghy or for diving. 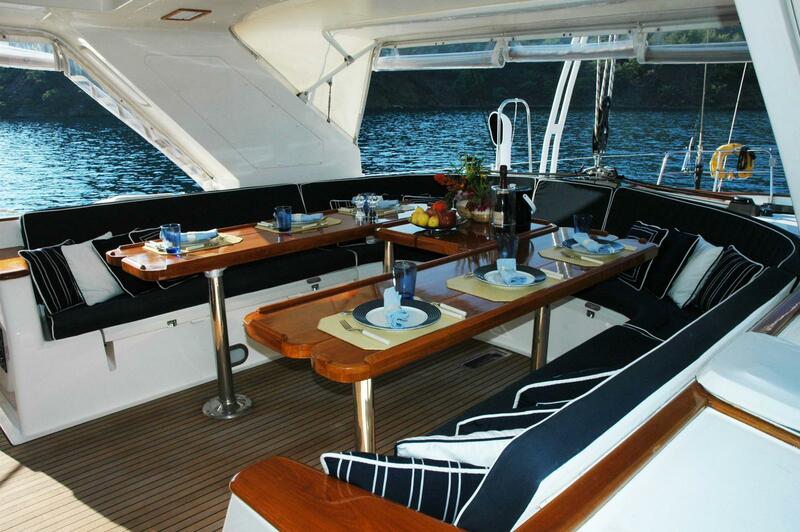 The central cockpit area is protected and offers plenty of space for comfortable alfresco dining. 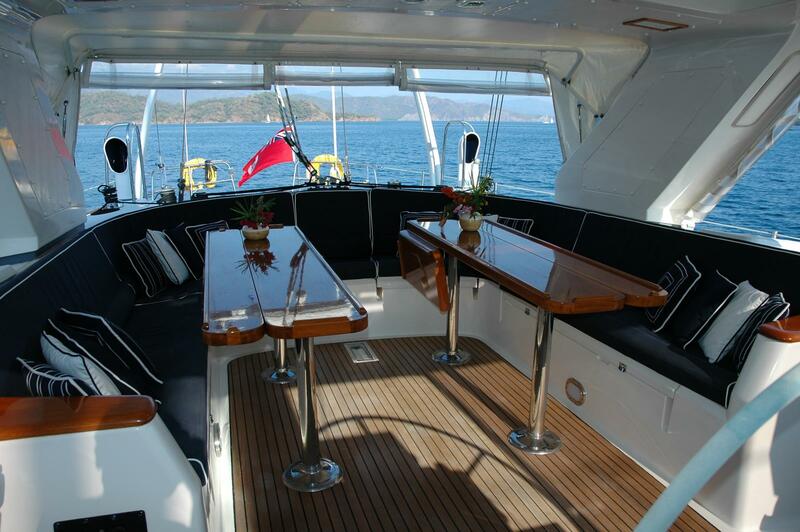 There are also lovely lunge pads that enable guests to relax under the sun. 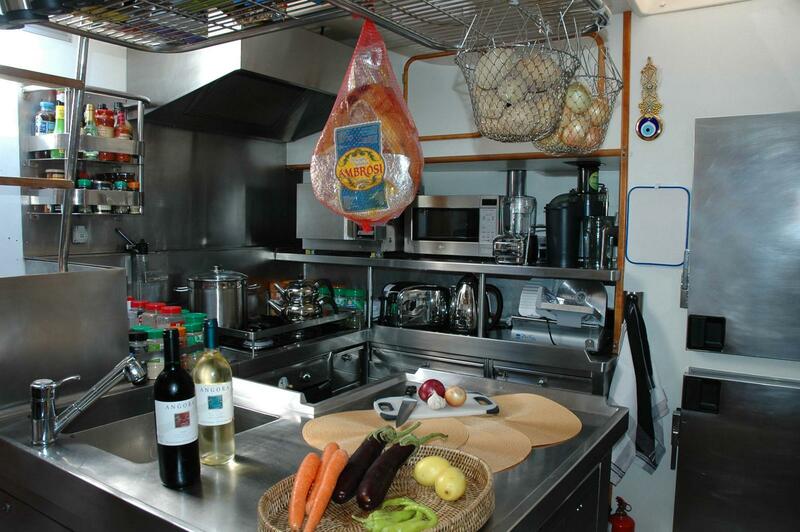 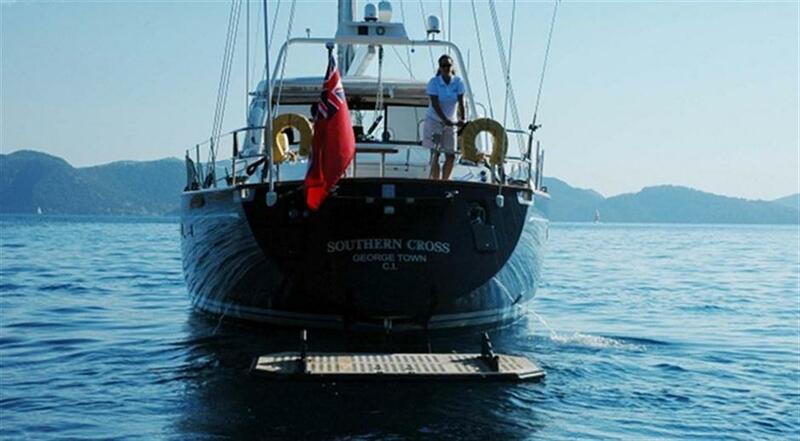 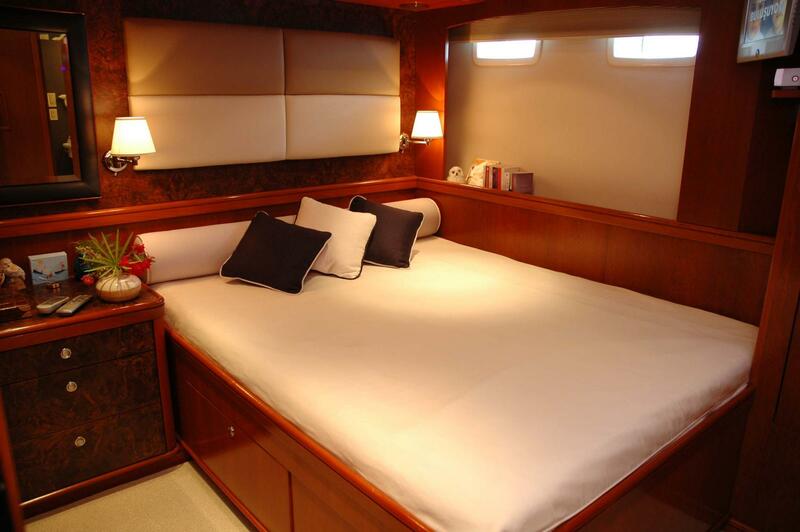 Southern Cross can accommodate up to eight guests in four staterooms. 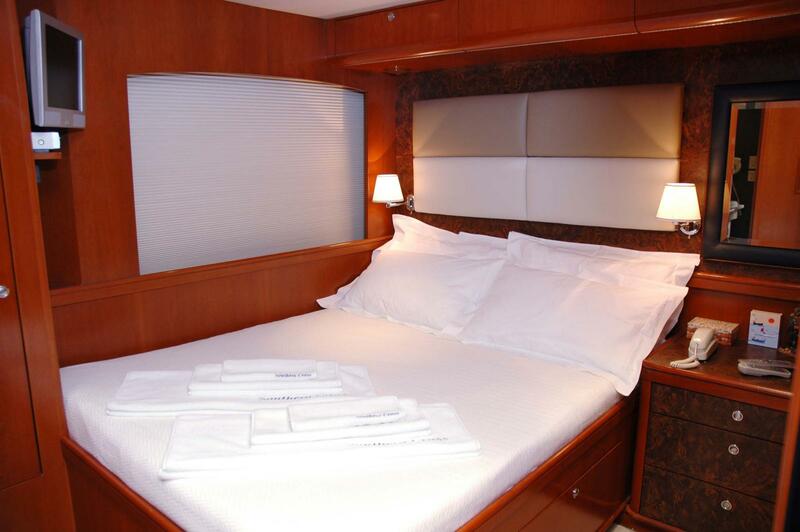 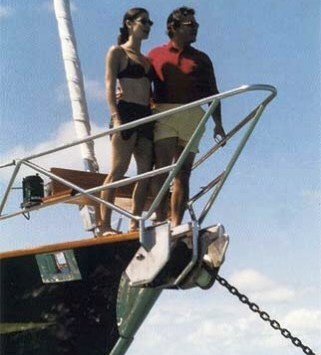 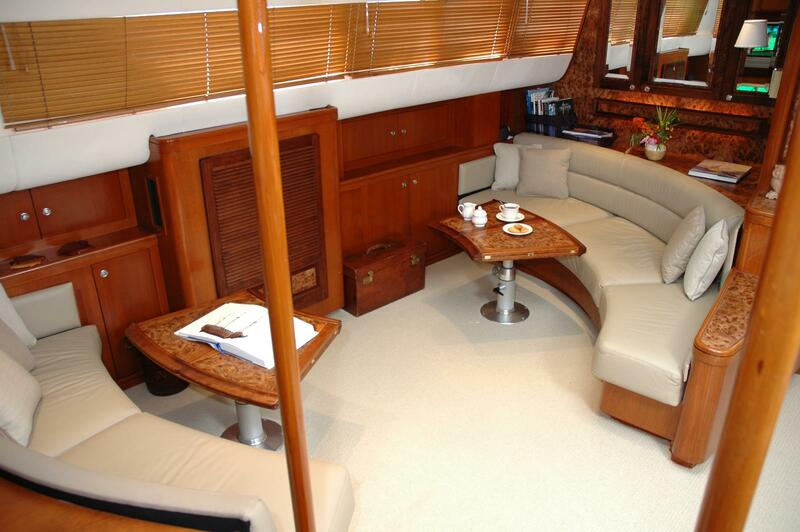 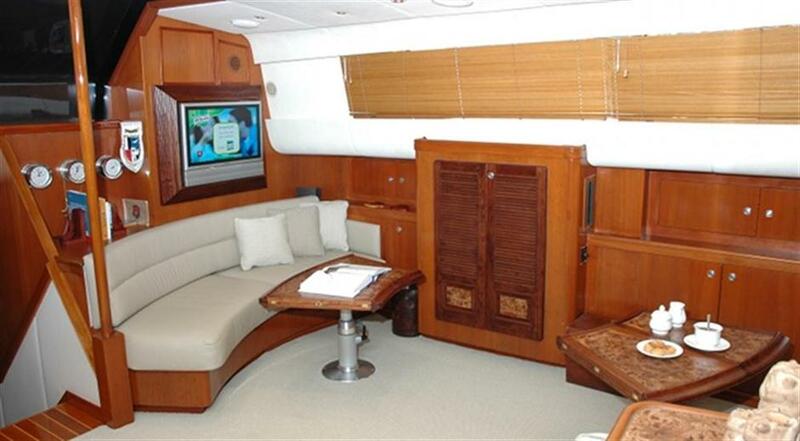 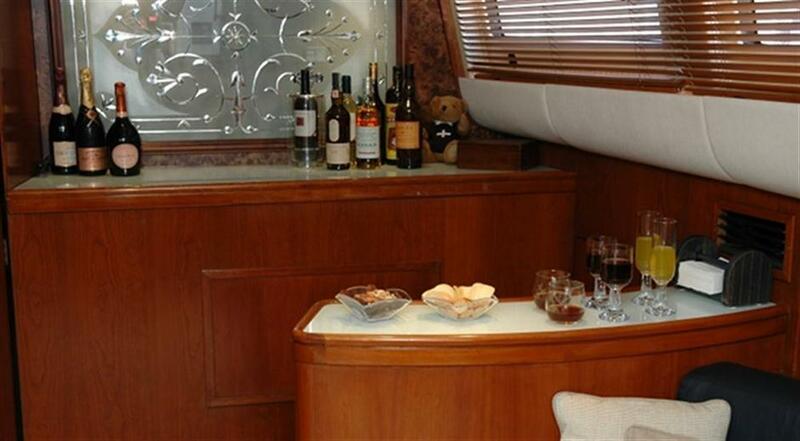 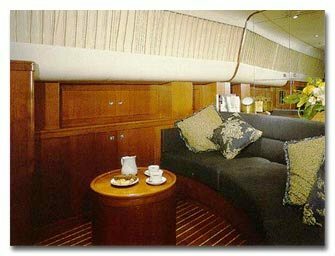 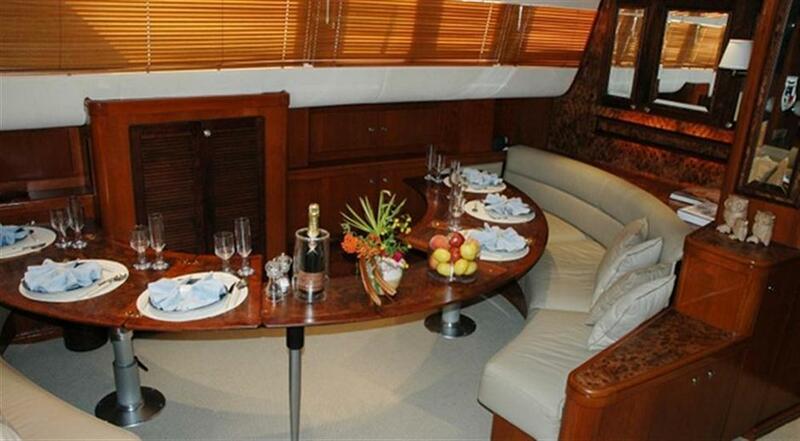 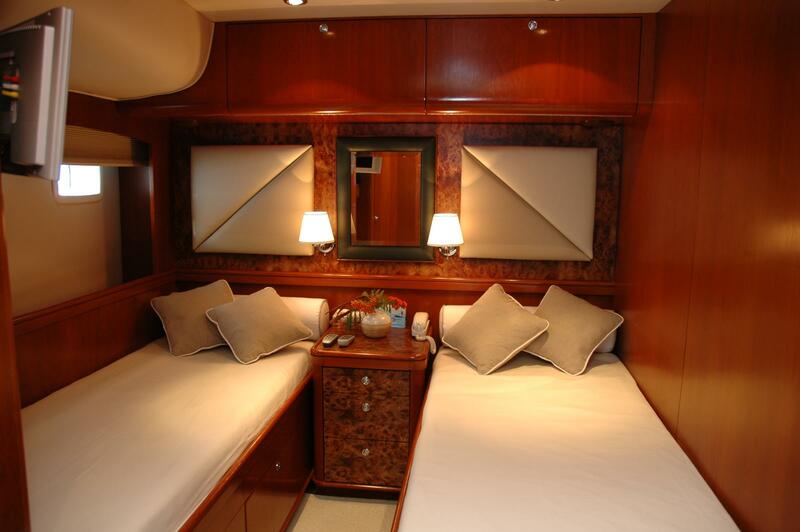 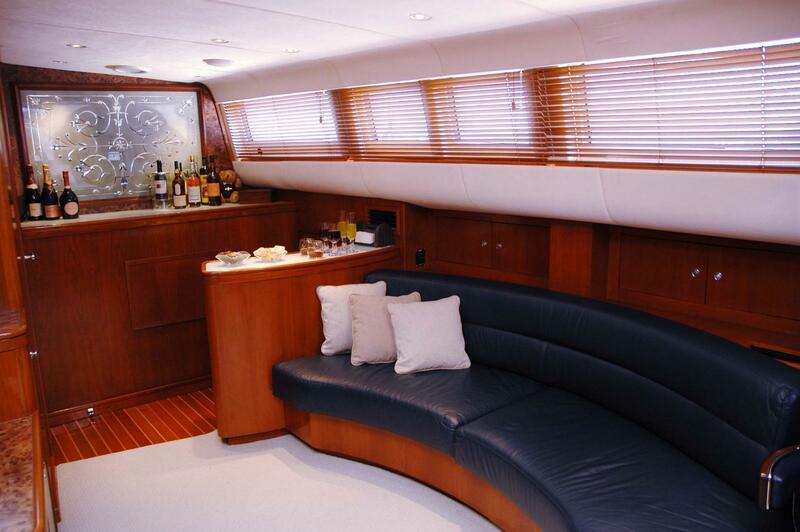 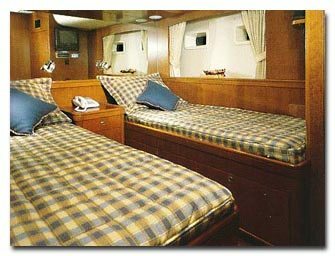 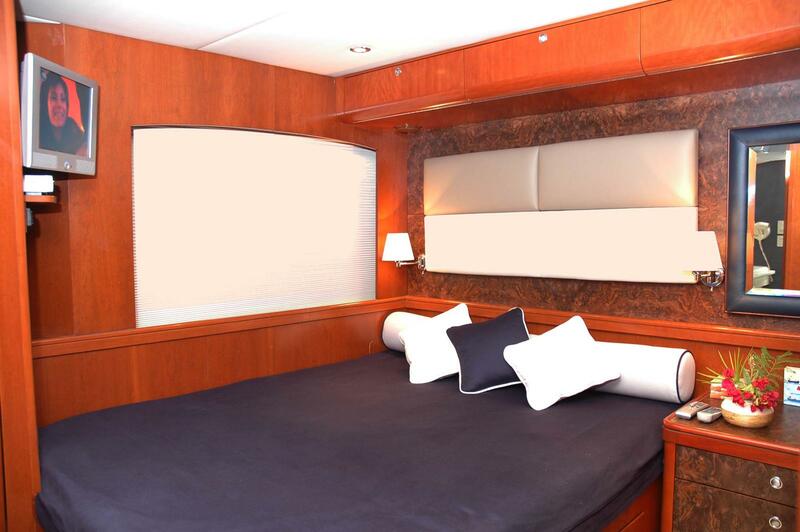 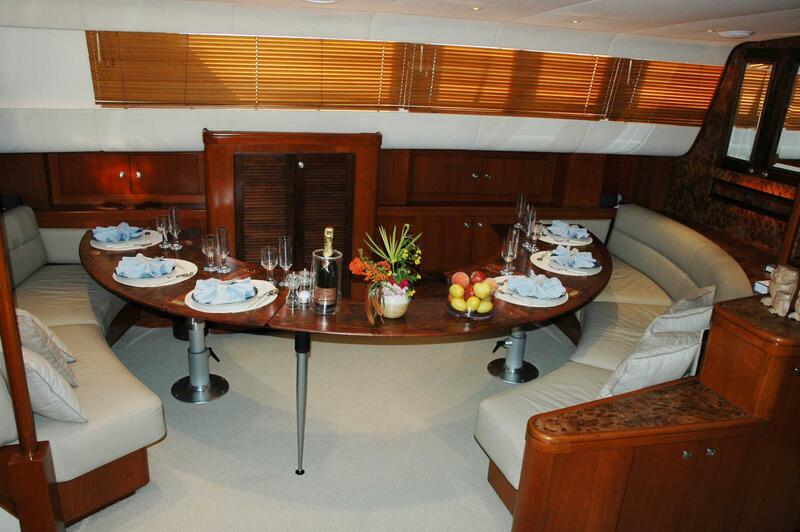 Two aft staterooms convertible from singles to doubles. 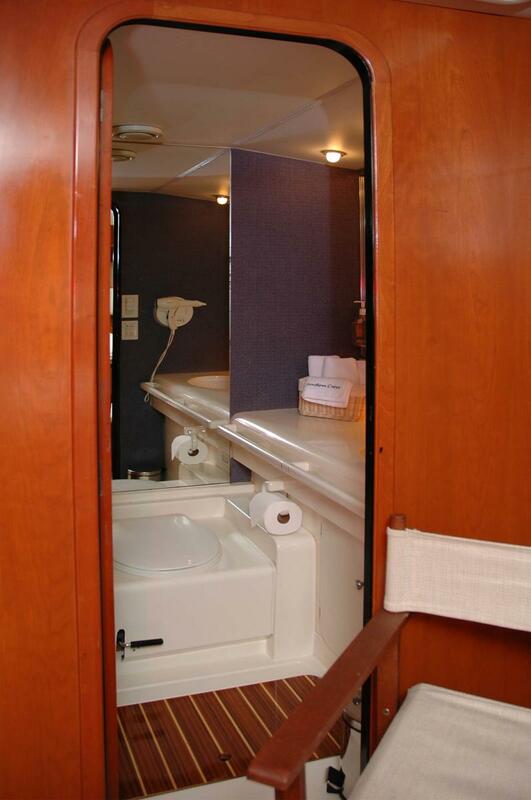 Each stateroom has its own private head & shower facilities. 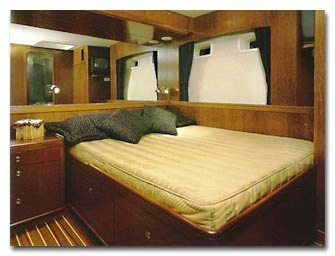 The Crew are housed in completely separate quarters. 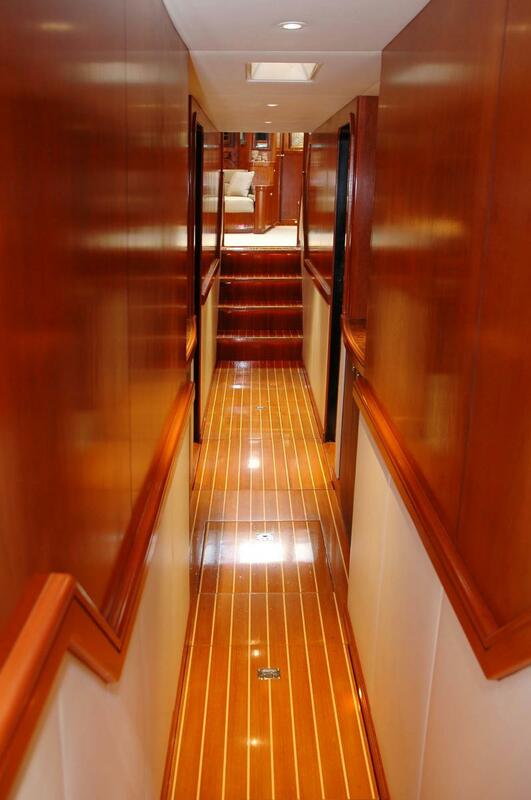 Southern Cross extras and amenities include: 2 Ocean Kayaks (one & two person), 16' Nautica with 90 HP Outboard Water Skis, Snorkel Gear, Kneeboard, Donut, Ocean Mattresses, Fishing Gear, Exercise Bike, Stair Stepper, Weights Radio, CD, TV, DVD,& Stereo in each Stateroom - Independent Stereo Speakers in all guest lounge areas, Salon Home Theater with Bose Surround Sound System, DVD Movie Library (over 200 films) CD Library (over 250 selections) Wine Locker, Game Locker Forward deck lounge, Main deck, al fresco dining/loungingAft deck lounge 4 VHF Communication Systems, 2 GPS Systems Satellite Track Phone (Salon & each statroom) and U.S. 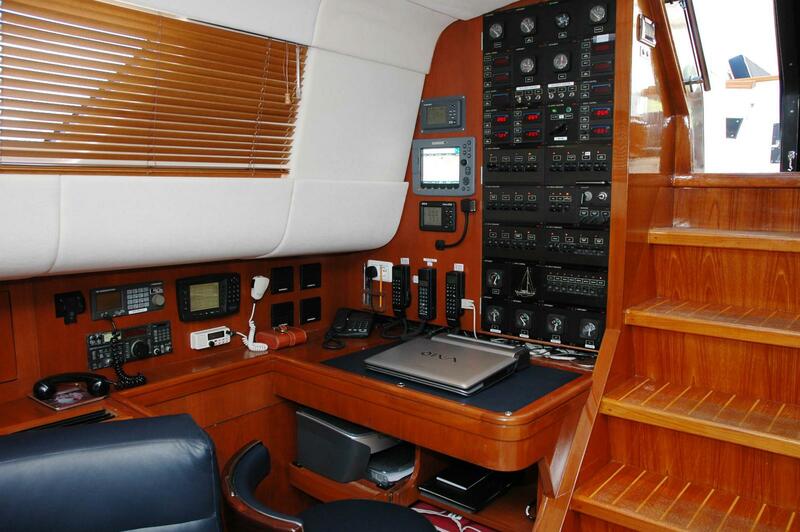 Cell Phone Single Side Band.